The Committee met briefly to consider and adopt several minutes dating back as far as mid-March to June 2015. All of them were approved with minor amendments. At the time of matters arising from the minutes, Members voiced concern that not all the areas that had sanitation challenges were captured in the minutes. Furthermore, they complained that the Department of Water and Sanitation had failed to submit various documents to the Committee and that it did not have to deal with outstanding minutes in a stand alone meeting. Concern was also expressed that the officials were not neutral and did not assist people who were not aligned with a particular party. The Committee elected Ms J Maluleke (ANC) as the Acting Chairperson since Mr M Johnson had sent an apology that he would not make it on time to the meeting. The Committee considered the minutes of the: 18 March, 13 and 27 May, 3 and 10 June 2015. All the minutes were adopted with grammatical and technical amendments. The Acting Chairperson allowed the Committee to raise issues from their constituencies that the DWS had to respond to, especially those that were recurring challenges. Mr A Mpontshane (IFP) asked if there were any planned oversight trips for the Committee. Ms M Khawula (EFF) recalled that during the discussions Members had indicated communities across the nine provinces where there were water and sanitation challenges but when she reviewed the minutes not all those communities with challenges were captured. The Acting Chairperson replied that the minutes reflected all salient points from every meeting, possibly Ms Khawula had missed some things as they would have been in different sets of minutes packs. Ms Khawula said that she was not fighting with the Acting Chairperson but her response was puzzling as she liked reading and all she had found was that the Committee seemed to be quite concerned with the Jozini community whose challenges also were never resolved. Her concern was for all disadvantaged South Africans and the tendency of looking at which member was speaking and from which party also had to desist because South Africans were suffering. The Acting Chairperson said she understood the comments Ms Khawula was raising about sanitation as she was still using a pit toilet. She added that this matter would be continually raised until it is resolved. Ms T Baker (DA) said that there were outstanding reports that the DWS had not given the Committee together with the copies of the Acts that were requested from the DWS. She was also disappointed that the Committee had convened for only a few sets of minutes when it had pressing matters to discuss, because it could have planned to deal with minutes as part of meetings with serious issues and not as stand alone Committee work. The Acting Chairperson replied that Ms Baker was well aware that the consideration of minutes was always on the agenda; however because it was always dealing with serious matters; it always went beyond its allocated time for meetings. Seeing that Ms Baker felt strongly about the matter, it certainly could be raised with the Chairperson. Ms N Balindlela (DA) echoed Ms Khawula’s complaint that there were other areas with sanitation challenges like Vusumzi and Tembisa, Ekurhuleni were she had recently visited. The situation there had been and remained very dire. The Acting Chairperson suggested that members submit their complaints to the Committee Secretary who would then direct them to the Parliamentary Liaison Officer (PLO) for the DWS so that when it next came, it would be prepared to respond to Members’ questions. Ms Khawula asked whether officials were partisan because she felt that they needed to be neutral. 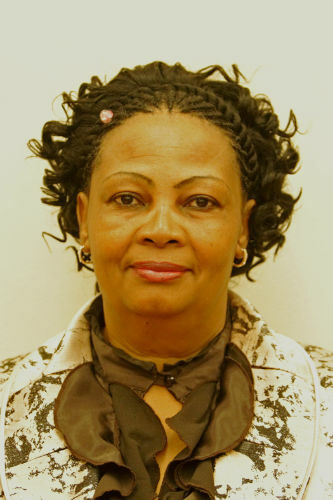 She often came across officials in KwaZulu Natal (KZN) who gave MPs and citizens their business cards knowing perfectly well they would not attend to their challenges if they did not belong to a particular political party. There still remained unresolved sanitation challenges in Claremont, KZN where the situation of uncovered toilets was posing serious hygiene hazards, especially for the disabled. The Acting Chairperson noted that officials were actually meant to be neutral and the fact that there was a PLO in the meeting did not make her an official of the department responsible for any unit therein; her job was to be a messenger between the Committee and the DWS.